At the heart of CH Consulting Group’s approach to each engagement is the design of a fundamentally sound strategy that utilizes future-oriented design principles. Our strategies aim to bridge the gap between current state contact center environment and an optimized future state. During our initial assessment, we determine strengths, weaknesses, opportunities and threats within your organization and work tirelessly to develop a tactical set of recommendations that will help your organization gain the competitive edge it needs in the market place. Omni-Channel – It is becoming increasingly important for your contact center to offer customer service on several channels, not just phone support. This includes chat, e-mail, and social media. However, it is not enough to just have those channels open. We can help you design a strategy that ensures you are providing a consistently superior customer experience across all channels. Sales & Business Development – we work with many clients who have historically been vertical-specific but are now seeking to target new markets. 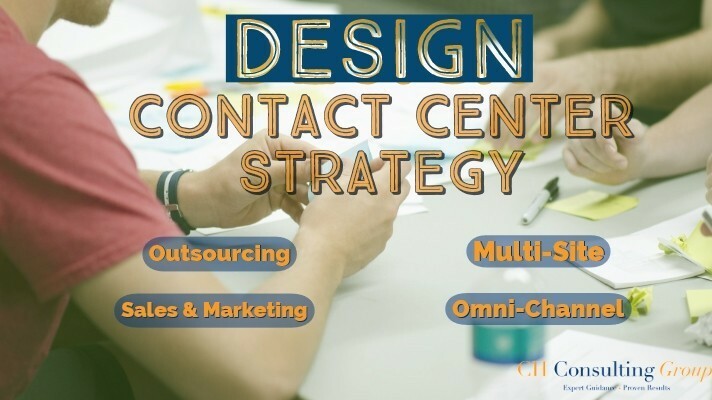 CHCG supports these clients by designing a strategy that allows them to break into the market place and develop a more national or global presence in the contact center space. Multi-Site – As your business continues to grow, you may find that you are expanding your call center locations. Although increasing the number of locations may seem like growth, it requires careful planning to ensure your operations are running as efficiently as possible. CHCG can assist with developing a strategy that ensures your contact center sites are optimized and that you have the right people, processes and technology in place.